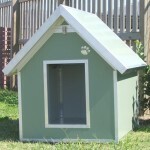 The Insulated Classic Kennel has been designed to be the old faithful and is fully insulated throughout. The perfect addition to your backyard or working dog’s area. This traditional kennel has a high pitched insulated roof and a doorway designed to maximize the insulated properties of the kennel. The doorway is centered on the front wall, an eave has been built into the roof for added protection. The roof opens from front to back for ease of cleaning and routine maintenance. This also aids in training your pet to use the kennel. A single latch at the front of the kennel helps to seal the roof in position and enables customers to move the kennel. 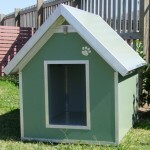 An insulated raised floor will assist to keep your pampered pet warm and damp free. Made from quality Colorbond steel encasing a block of EPS foam which results in a tough and durable product. Your pet won’t chew this kennel. The EPS-FR insulated panel design ensures the maximum comfort and protection for your beloved pet. The insulated panels have an anti-bacterial coating (Colorbond Permagard), which makes it virtually impossible for bacteria to grow as long as a maintenance schedule is maintained. 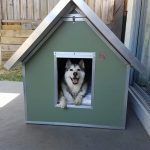 Your Insulated Classic Kennel will be delivered flat packed with assembly instructions or you may pick it up built from our factory – Unit 1, 69-71 Richmond Rd, Kingswood NSW 2747. Alternatively, we do offer to build it for you on-site at an additional charge. Accessories are available to personalise and add additional comfort to each kennel such as: dog doors, dog beds, cool mats, caster wheels, adjustable feet, doorway awning, plywood floor & name plaques. Select one of the pictures below of the preferred size for more specific information. You will be able to select the colour and obtain a quote.